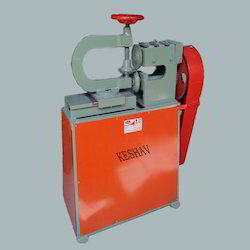 Keshav hand or motorized circle cutting machines suitable to cut circles, rings and disc from mild steel sheets also suitable for strip cutting. Hand operated machines are bench type while motorized machines are supplied with suitable stand, motor attachment, reduction gears and guard. We are engaged in offering our prestigious clients from across the globe a qualitative range of PrecisionEngineeredPowerPresses. 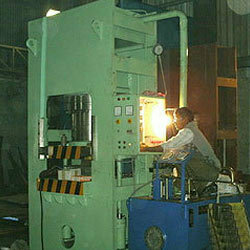 These Precision Engineered Power Presses find wide application in automobile, textile, chemical and many other industries. Our range is ideal for bending, straightening, punching, broaching, and riveting. We manufacture these Precision Engineered Power Presses in compliance with prevailing international standards and facilitate it with robust construction, high performance and long functional life. Additionally, we also customize these Precision Engineered Power Presses as per the requirements of our esteemed clients.